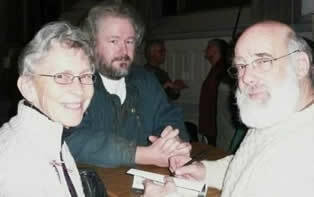 He may prefer to be studying human customs as an academic and anthropologist but Jeff Halper of Jerusalem cannot escape the reality of his life; he is living in Palestine. On a recent cross Canada speaking tour, Halper addressed a large crowd in Victoria about the oppressive policies and politics of his nation, Israel, the 4th nuclear power in the world. He said Israel is a democracy for Jews and he has a citizen’s right and responsibility to criticize its government and policies. His activism and commitment have taken him beyond ‘the membrane’ of protection that most Israeli live within to see the results of Israel’s decades of abuse of the Palestinian population. 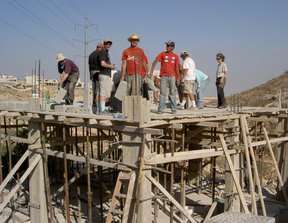 Halper founded the Israeli Committee against House Demolitions (ICAHD), a group of Israeli volunteers who rebuild homes of Palestinians that are destroyed by Israeli authorities. They offer physical support as well as publicly opposing the occupation of Palestine by Israel. 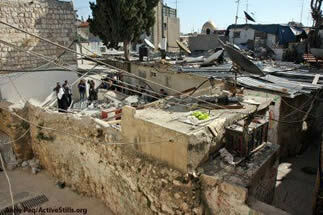 Halper says that each home destruction is a microcosm of the destruction of Palestine itself. 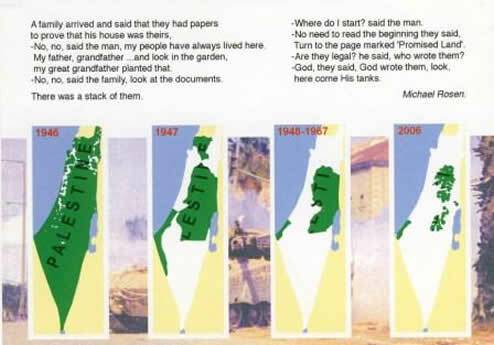 The occupied territories of Palestine have shrunk to a small fraction of the original and historic land of Palestine (see map). Speaking about the recent destruction of Gaza, Halper said it was an area under siege, blockaded and closed to the outside world: Gaza City a destroyed port where no ships were allowed in for forty years until 2008. Halper was on the first peace boat that ended that blockade, a second boat also carrying medical and humanitarian aid and international activists, politicians and journalist made safe harbour in Gaza. But in December, 2008 and January, 2009 the next peace boats were unable to reach Gaza with 3.5 tons of much needed medical supplies, donated by the people of Cyprus, they were rammed by Israeli warships in international waters and then threatened with Israeli navy gunfire; the risk to human life was too great. Israel’s actions, backed by USA$3 Billion per year of USA military aid create instability in the whole Middle East, claimed to be done, he says, in the name of the global Jewish community. Halper is heartened by many new groups of Jewish people in Canada, USA and other countries that are speaking out against Israel’s aggression; many are called “Not in Our Name”. And as a citizen Halper believes he must hold Israel accountable for its actions. Israel, by building the wall-fence to divide Palestinians from each other, by controlling movement into squeezed together regions called cantons, has created South Africa-like Bantustans where people have no freedom of movement. The 2-state solution, proposed for decades while Palestine shrunk and shrunk and lost control over everything from its airspace to its utilities, is dead, Halper says. It will not happen because of the infiltration of Palestine by settlements, now numbering over 200 communities with ½ million population. Palestine now is no longer a viable state, it is a prison state. He went on to say that all political parties in Israel have rejected peace offers from Palestine and that they all propose more military action, one party calls for the transfer – total expulsion – of all Palestinians, another party leaders calls for assassination of Palestinian Hamas leadership. He says most Israeli politicians cannot envision peace. Halper says there are several possibilities for peace in the region; international pressure and awareness are needed to create favourable conditions. The USA support for a militarized Israel is a major stumbling block, “a bone in the throat of the USA”. A truly democratic, secular, multicultural one state is supported by many. Another possibility is a regional confederation, based on the European Union model.